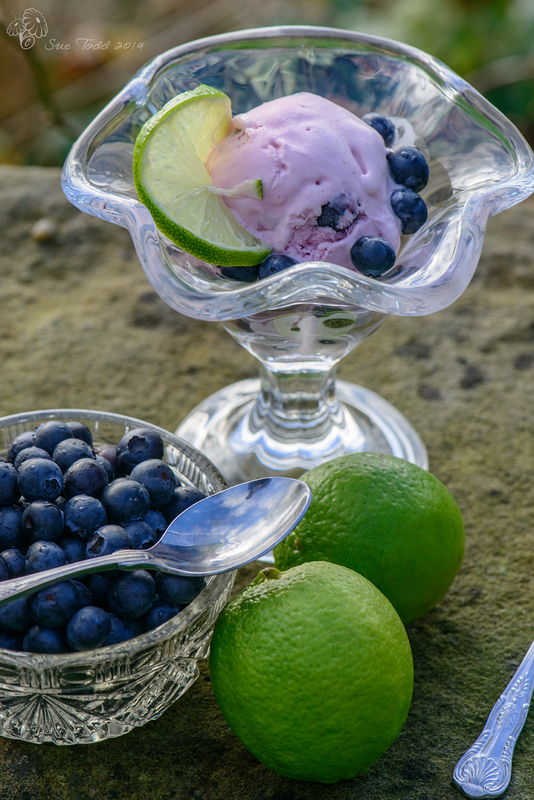 Home-made ice-cream, nothing can beat it. Made using fresh ingredients only in the English Country Cooking Kitchen. 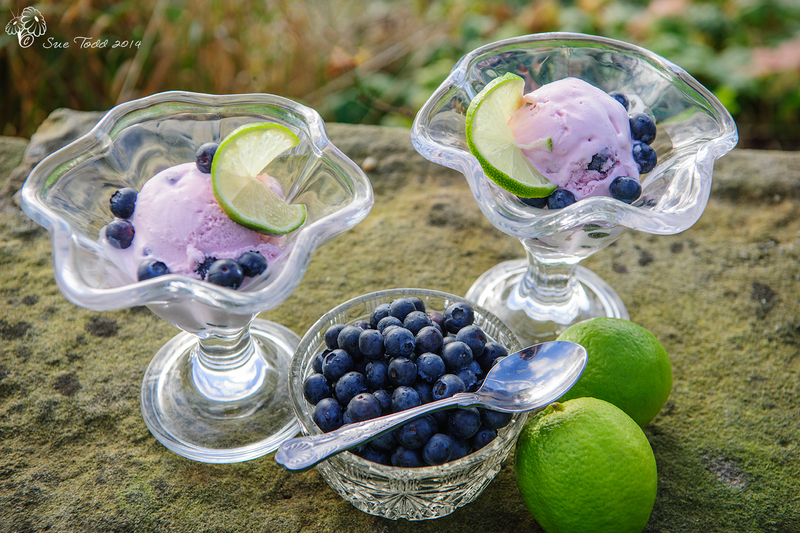 Rum and Pomegranate Jelly with ice-cream. Okay so I’m running late for Valentines day. I don’t ‘love’ the commercialism of this I have to say, but that’s the same with all events of the year including Christmas. 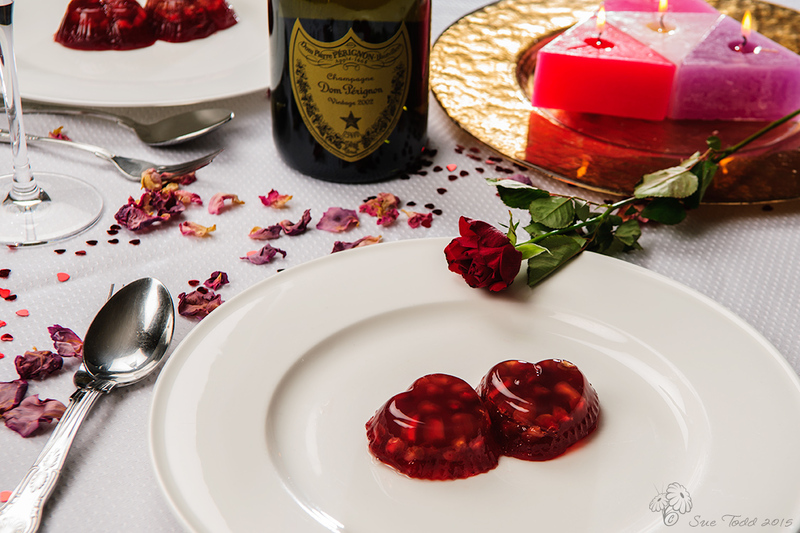 However Rum and Pomegranate Jelly has it all going on, whether you make it for Valentine’s Day or just for a special romantic treat, It’s rather lovely and it looks like you’ve spent hours in the kitchen even if you haven’t – cause you did it yesterday! But true to form this isn’t hard – I don’t do hard, complicated or intricate. But I like real. I like easy and I like good. This is a recipe I came across in 2011 in Delicious magazine. They’d made it in a loaf tin which I thought lacked imagination (sorry Delicious). It wasn’t until I stumbled on some heart-shaped moulds that I finally thought – “I’m making this”. I made it for some very good friends coming for dinner (our born at the same time babies are now 28 and 23 respectively, so we’ve been friends a very long time now) and it went down very well. It’s more complex than I’d normally do but also easy because it’s done in advance so there’s no flustering about it. And it is also very pretty. 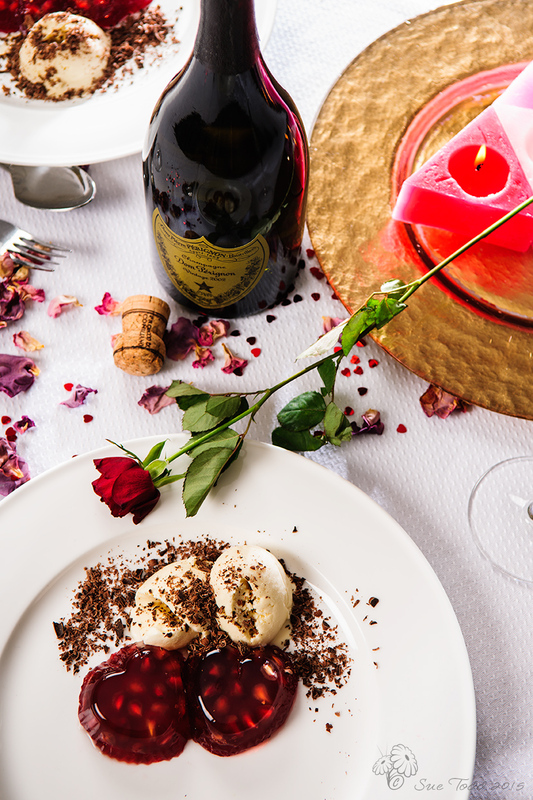 Scatter some dried rose-petals on the table, add some candles and a bottle of bubbles and you have a very romantic dessert. The recipe claims to serve 8, this time around I made 4 little heart-shaped servings and two much larger jelly moulds with this amount. I’m thinking that’s more than 8!! If you’re after a simple dessert and not much on the leftovers front, I’d half the quantities. First of all get a bowl of cold water and soak your gelatine leaves for 5 minutes. This gives you just enough time for you to heat through 240 ml of water and the sugar in a pan, stirring it from time to time until the sugar melts. Take the pan from the heat once the sugar has melted. Lift the gelatine from the water, squeezing it gently to remove the extra water. Add the gelatine to the sugar and water mixture in your pan and stir it all up, until the gelatine has dissolved. Set to one side in a jug to cool. Once it has cooled, add the white rum, ginger syrup and sparkling water stirring to mix up thoroughly. Now pour it into your moulds to set. If you are doing this for a romantic evening or Valentines day you may have more than you need. If so put some in pretty moulds for your romantic meal (I used heart shapes) and put the rest in a bowl or mould for another day. 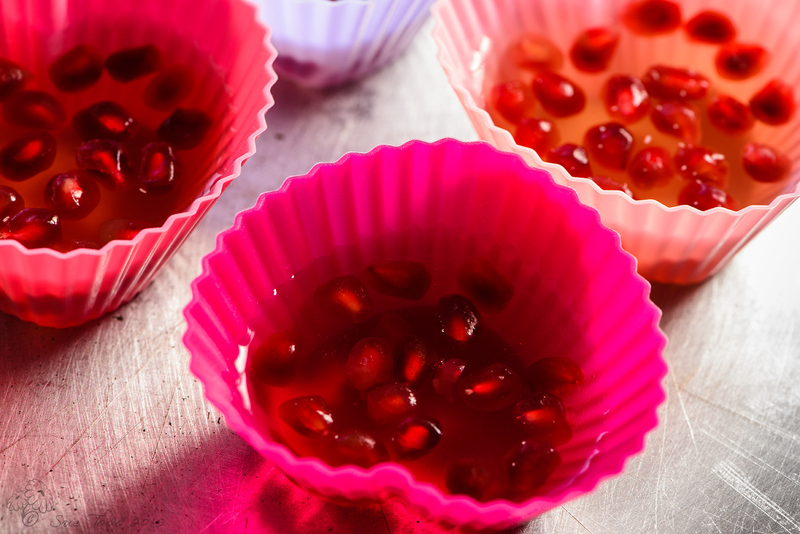 Sprinkle your pomegranate seeds over the jelly and chill until the jelly sets. This will take a couple of hours. Once your Rum Jelly has set, its time for the next stage, making your Pomegranate Jelly. Soak your gelatine leaves in cold water for five minutes. While you are doing this, heat the pomegranate juice in a pan with the sugar until it dissolves. Squeeze the water out of your gelatine leaves before adding them to the pomegranate juice, stirring until the gelatine leaves dissolve. Pour the mixture into a jug, set aside to cool and stir in your lime juice. Next pour this over the set rum jelly and then chill for at least 3 to 4 hours or overnight until its set properly. 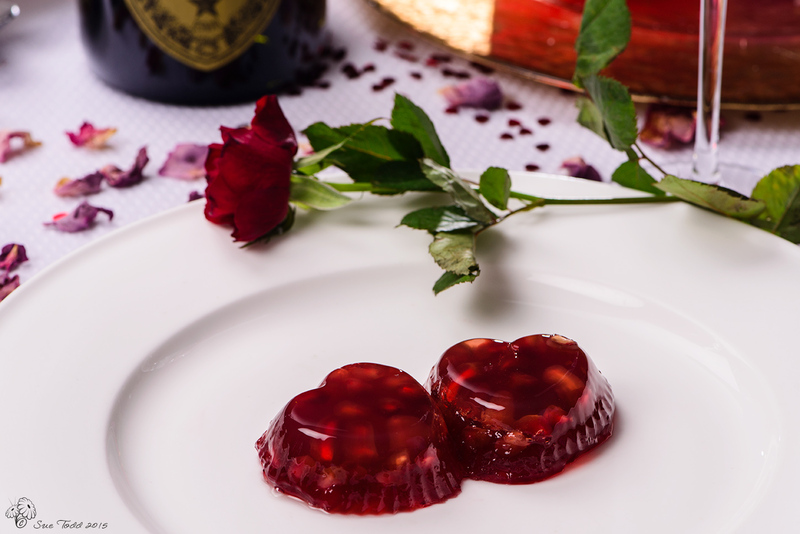 Remove your jelly from its mould(s) by dipping the mould into hot water briefly and then turning it out to a plate. The jelly may not come out just as you’d like, so beware. Scatter with pomegranate seeds if you wish, along with shavings of chocolate and serve with homemade vanilla ice-cream, although it tastes great and work well just as it is. This entry was posted in Desserts, Ice-cream, Recipes and tagged Jelly, Pomegranate, Pomegranate Jelly on February 13, 2015 by Sue Todd.